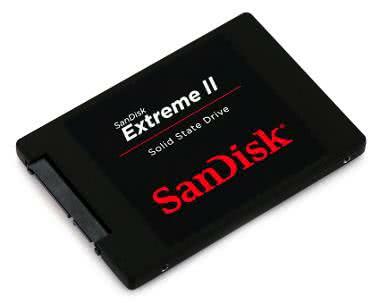 The SanDisk 480GB Extreme II 545MB/s SSD is an an efficient, high-capacity storage memory drive. It comes with a SATA 3 interface that offers up to 6GB/s data transfer rates and a sequential read speed of up to 545MB/s and write speeds up to 500MB/s. SanDisk's proprietary tiered caching across 3 storage layers optimizes write performance and responsiveness. Please note that this rental is for the SSD only and does not come with a 2.5" drive reader. Also note that this particular SSD is not compatible with SSD-using Blackmagic cameras. Please see the SanDisk 480GB Extreme Pro 550MB/s SSD instead. • This SSD is not compatible with SSD-using Blackmagic cameras. Please see the SanDisk 480GB Extreme Pro 550MB/s SSD instead. • SSDs do not come with readers or casing for connection to a laptop. Plan accordingly. You can optionally rent the Voyager Q Quad Interface SATA Drive Dock separately.